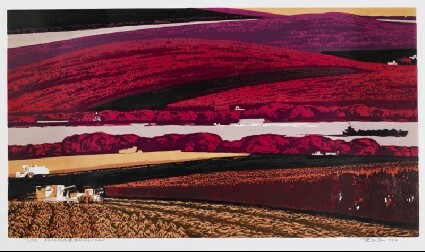 Chen Yuping grew up in a rural village, trained as a hydraulic engineer in the late 1960s and completed a course in printmaking at the Central Academy of Fine Arts in Beijing in 1983. 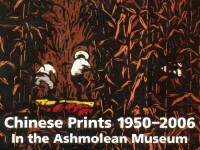 His woodcuts largely build on the tradition of the Great Northern Wilderness School, with its non-key block techniques, and depictions of the vast natural and reclaimed land. 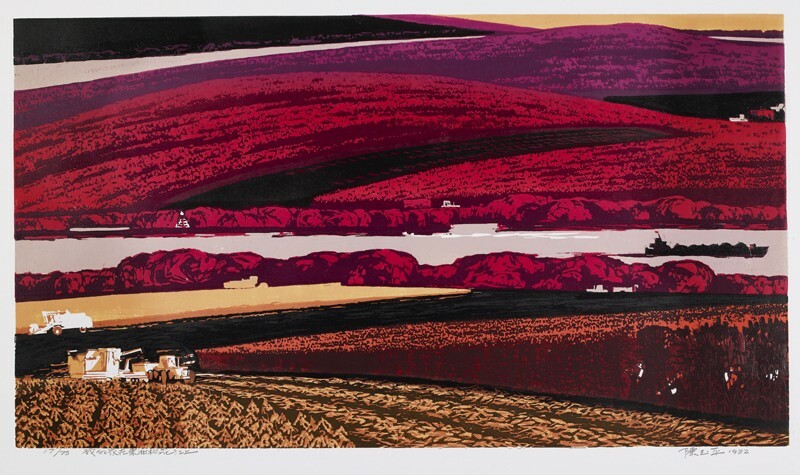 His work uses stronger and more vivid colours than other printmakers in this area and shows his boundless love for the land where he was brought up. He is regarded as a passionate devotee of the north-eastern landscape.